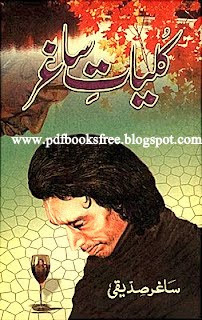 “Kulyat-e-Saghar” is a collection of Urdu poetry of Saghar Siddique. Selected Ghazals and romantic Urdu poetry collection . Visitors can download in pdf format from the below mentioned links to read offline.